Whether it’s the Tour de France or an ultramarathon, here are three tips that will help you fight back the urge to quit. OR is moving to Denver. Good move. Makes sense. Fascinating long-form essay about the longest-running XC club in the world. In it, I learned about the “gentleman amateur” aspect to the sport, the etymology of the term “paper chase”, and the secret to its longevity. Ian covers the Hardrock field right here. Be sure to read this account from Fegy about his rollercoaster road to the start line of Western. I was there when Gordy handed over his spot and it was very, very special. If you’re posting illogical, ridiculous pics to Instagram that show you sleeping in (extreme!) beautiful locales, this chick is going to call you out. More on the social media/IRL conundrum right this way. The pickle juice tasted like angel tears, but it probably wasn’t such a good idea to have it as a coke chaser. It wasn’t long after I plonked down into a chair that I gave my crew a bit of a puking show. –Be sure to make some time to read Stephanie Case’s report from Western. You heard her interview about her accident here, you heard part of her story on Kaci’s post-Western interview here, now check out the rest of the story. And dang, how cool is it to have a pro photographer on your crew? Great shots! What should you yell to encourage runners? Be sure to check out 18year old Jarod Contreras site/podcast right here. He’s grown up in an ultramarathon/trail family and is carrying the tradition with his love for the outdoors (he just finished Bryce Canyon 100 last weekend.) In this interview, he interviewed some idiot with an alphorn who is concerned about not screwing up his kids’ lives. Running States next year–or really any hundred miler? Bookmark this post to read as you prepare: Ten things I did wrong at Western States. Five rules of trail etiquette every hiker/runner should know. I’ll number six: Amplified music is not cool. If you’re listening to music, wear one earbud, but leave the speakers at home. No one cares what music you’re into. Howabout number seven. Anyone? Why do you run trails? Liza solicits some responses and is flooded with some great replies. Are you a good/bad runner because of training or is it due to DNA? And more importantly, can it be proven? I’m still putting together for a Lost Coast adventure run in late summer. Leor’s excellent post is being used extensively. Are you a podcast expert? I have a feeling I’m not doing some things “right” in terms of posting to some services and other formats. I’ve still never listened to a podcast, so I’m helping myself. If you know what you’re doing and could possibly help point me in the right direction, please email me here. Thanks! So these pills reduce inflammation, damage the kidneys, and help performance by decreasing pain. Consider ibuprofen. #CLEANSPORT, right? –Not a big surprise that Allie Ostrander won Mt Marathon. Here’s the full coverage video. Incredible racing, fantastic coverage. Racing and breastfeeding: How to make it work. Here’s our interview with Liza Howard from 2014 after she set a course record at Umstead 100 while breastfeeding in an outhouse. Americans are getting slower in races from 5k to the marathon distance. I’d be interested to see some data for ultramrathon events as well. Sure, the guys up front are continuously setting records, but the study is looking at the mean finish time. So about this Hardrock/ITRA/UTMB/Poletti/Thornley/Wood brouhaha (and now Sherpa John’s latest post, of which I’ve got plenty of othe issues), I’ve included the Press Release from ITRA/UTMB in whole because I couldn’t find a link to it. I don’t know, I know the Poletti’s have a lousy reputation and I don’t like the idea of paying for points, but I’m just not very interested in the whole debate and don’t know who’s version of facts to believe. As I wrote on the FaceBook yesterday, every time I hope for more growth and organization in this sport, I’m reminded why I want to keep it small, unorganized, and funky. Following the article published on 27th June on ultrarunning.com and on 29th June on trailrunnermag.com, the ITRA wishes to respond. No, Catherine and Michel Poletti don’t own ITRA nor UTMB®. The ITRA is an association and its governance is ensured by a Steering Committee and an Executive Board. Michel Poletti is the association’s current elected President. Catherine Poletti is one of the ITRA’s founder members, and does not have any decision-making power inside the association. The UTMB® is co-organised by the LLC Autour du Mont Blanc and Association les Trailers du Mont Blanc. Catherine and Michel Poletti are co-managers of the LLC Autour du Mont-Blanc and co-directors of UTMB®. The ITRA is a non-profit association founded under Swiss law. Its financial statements have been published during the General Meeting on 11th June 2017 and have been sent to all the attendees. For more information on ITRA, including its finances, you can consult the presentation made during the General Meeting by clicking here. The UTMB® organization’s budget is driven by the LLC Autour du Mont-Blanc whose annual accounts are filed with the French administration. No, the ITRA offers different services to runners and organizers, including a race evaluation system. These services are offered to ITRA members up-to-date with their membership, and for non-member organizers interested in using them. Each organization decides on the necessary qualification requirements to enter its race. Each organization can choose the races that will be qualifying for its race, whether or not they are evaluated by ITRA. There is no fee payable to be a race on the UTMB® qualifying list. The UTMB® organization has ensured that Kilian Jornet had his points. Regarding the performances of the latter and knowing the Hardrock 100 Endurance Run and its limited number of finishers (between 110 and 125), the UTMB® has chosen to add retroactively the race, on an exceptional basis, to the list of races allowing runners to qualify (6 points). This choice was approved by Dale Garland, the race director of Hardrock 100 Endurance Run. In fact, Kilian Jornet has his points to run the 2017 UTMB®. Following the discussions resulting from this article, the ITRA wishes to provide an explanation regarding its organization and operation in order to respond to the questions as accurately as possible. ITRA received an email on 19th March, 2017 from UTMB® indicating that Hardrock 100 Endurance Run accepted the UTMB® proposal to be a qualifying race. At the same time, the UTMB® proposed to the race director of Hardrock 100 Endurance Run that he be contacted by the ITRA, in order to let the latter present its organization and operation to him. The proposal was agreed. Three days later, the ITRA contacted the Hardrock 100 Endurance Run as agreed and informed them by email about the general organization and the association’s missions. Since ITRA did not receive any answer to the last email sent, they concluded that the Hardrock 100 Endurance Run was not interested in joining the organization. The discussions stopped there and nothing else was done to follow up. So far, the Hardrock 100 Endurance Run is not an ITRA member and has not been evaluated by ITRA. 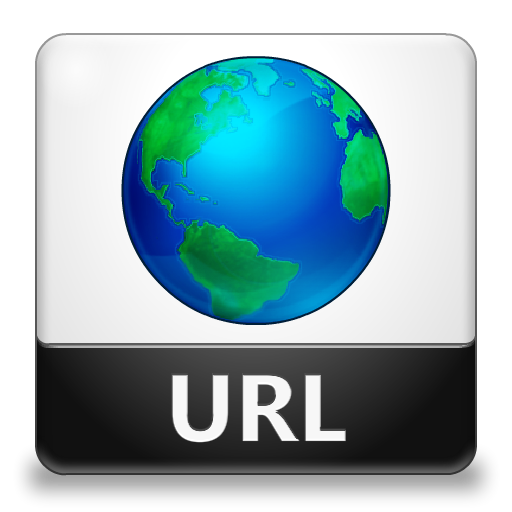 ITRA is an international non-profit association. Any positive balance of funds is fully reinvested to finance the ITRA’s development and activities. Its members are runners, organizers, and national athletics federations. Today it counts 14 founding members, 14 institutional members, 874 organizer members, and 3198 runner members from 84 different countries. Organizers and runners are represented by 86 national representatives elected for 2 years by the runner and organizer members of each country. ITRA is directed by a Steering Committee elected democratically composed by 2 founding members, 8 institutional members, 8 organizer members and 4 runner members. The day-to-day work is under the Executive Committee, composed by the president, the 4 vice-presidents, the secretary-general and the treasurer. The Executive Committee is elected by the Steering Committee. Michel Poletti is the current elected president. All the ITRA elected members are volunteers: they do not receive any salary for their functions inside ITRA. The ITRA has 4 full-time or part-time employees. The ITRA statutes are available here. How is ITRA run ? ITRA brings certain services to its members, but also offers some free services to all organizers or runners. Currently, they count 918 organizer accounts and 29,474 free runner accounts. It organizes doctors and researchers in order to understand trail-running’s effects on health and to develop a health program for runners. It offers solutions to help organizers by improving the safety measures set up in their races (The security guidelines can be downloaded for free in 6 languages on the ITRA website by clicking here). It will soon offer to organizers a method to evaluate the international quality of their races. It brings the ITRA Performance Index and the ITRA points’ calculation. – Much works has been carried out to improve the calculation of the Performance Index and other factors could be included in the calculation soon. – Race evaluations are requested through the organization’s account on the ITRA website. The account creation is free, the organization can decide to be a member or not. In the case of membership, the annual fees cover the evaluation requests for all the year, otherwise the price for an evaluation is 100€. Only quantifiable factors are used to evaluate races, namely: the distance and the elevation gain. ITRA develops the technical and communication specifications and share them with the IAU and the local organizer. It works jointly with IAU and the local organizer in relation to the World Championships’ organization. Whenever the Steering Committee must take a strategic decision for ITRA in relation to this subject, it asks the elite athletes commission for their point of view. For more information about ITRA, including its finances, you can consult the presentation made at the last General Assembly of ITRA, 11th June 2017 in Badia Prataglia, Italy, by clicking here. The ITRA evaluates GPS tracks of race organizers who request evaluation. Points awarded by the ITRA to races allow runners to register on some races that require, in their race regulation, a minimum of points (such as UTMF, Lavaredo Ultra-Trail®, Madeira Island Ultra-Trail®, UTMB®, Trail Verbier Saint Bernard, Mauna to Mauna Ultra,…). ITRA doesn’t intervene in the organizers’ choices regarding their qualifying races. This is not ITRA’s job, it is the role of the organizers only. 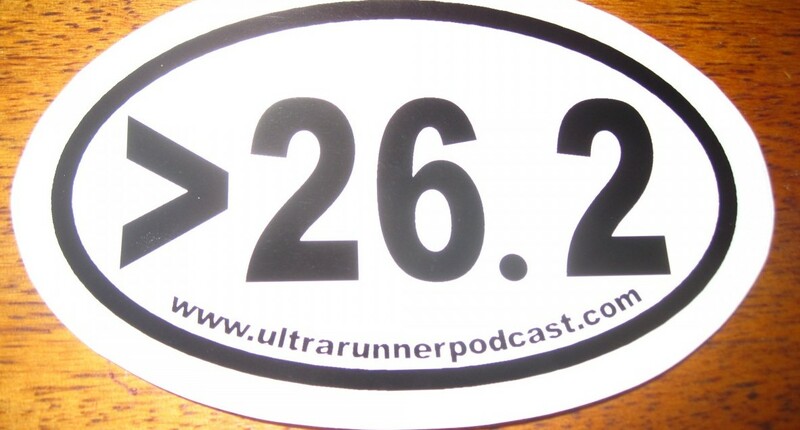 24 Responses to "Ultramarathon Daily News | Thursday, July 6"
Nice and long news today! Always stoked on the content, Eric! Ah, the carnival barker Sherpa John makes another appearance… The guy who moved to CO relatively recently and immediately appointed himself an authority on all things Leadville and Hardrock. L’ville gets plenty of bad press on it’s own (fairly), but neither it, and especially Hardrock don’t owe him anything. Sh**ing on fellow RD’s and their well established and respected events really seems to run counter to so much of what dear-John claims to value about the sport. Even the title of his post, “blah blah blah, and why you’re wrong,” is arrogant, self-absorbed, and typical. I’ve always believed that there was only really important rule to ultra-running (and life in general): don’t be a d**k. It’s a pretty good rule…..
Seconded. Toxic, stay away, ignore. I don’t know the guy, but his post was a good read. It was an opinion piece, and parts of it rang true for me. His post is just one in a long line of screeds proclaiming anyone who disagrees with him and his self-righteousness is “wrong.” Not much of a message. Rule 7 for runners and hikers correlates to rule 4. If someone greets you on the trail with a wave or hello, return the greeting. I hate it when I wave to a fellow runner and they run right by as if I am invisible. It doesn’t take that much energy to acknowledge another runner. I agree. This is a real issue with runners, road and trail. A lot people trash on everything a mountain biker does but they are by far more friendly on the trails than my fellow hikers and runners imo. It didn’t take much to make quick eye contact and return a greeting, even if you are hammering a climb. Feel the same way. Is it really so hard to say “Hi,” or nod, or wave, or grunt? I mean I don’t need or want a half-hour conversation or a new best friend, but damn, just acknowledge the other runner/hiker, return the courtesy. Not that hard. Rule #1 for runners/hikers is wrong. It’s not about the effort but gravity and first and foremost safety. Since it’s much harder and dangerous to stop while going down on a steep slope the hiker going up should give way. As a runner, hiker, and mountain biker, I will say that if you can’t come to a stop safely to yield to an uphill person, you are going too fast (offer not valid for races). As a corollary to #1, all other trail users (uphill or downhill) yield to horses. I have always learned the opposite- that the uphill hiker has the right of way. I kinda love how comically antagonistic John is. Does the Daily News have a dedicated RSS feed? Rule #2 on the trail etiquette is wrong. If a cairn is not needed for navigation, it should come down. Navigation is the only valid purpose for their continued existence. My ex-husband and I thru-hiked the whole Lost Coast Trail in 2002. It was amazing!! Enjoy your adventure on it! They’re all just variations of the only rule required. In regards to the “mean” finishing times of Americans getting slower: My take is that that is fantastic. It means that more and more FIRST time and slower runners are out there racing. In the 70s and 80s you didn’t run races unless you were fast. Now it’s okay and inspiring to see people out there running 45-60 min 5ks. Good on them. It doesn’t mean that at all. To know if there are more first time runners, you’d have to look at participation rates. Slower mean times could, in fact, mean that people actually are running slower, because that’s exactly how it would affect that data point. Anecdotally it does seem like there is less focus on running fast, but again, we need more data to draw a firm conclusion.